Warning: the following pictures will make you want to travel the world. These stunning buildings are sure to take your breath away, both in a photograph or in the flesh. It’s an architect’s dream. 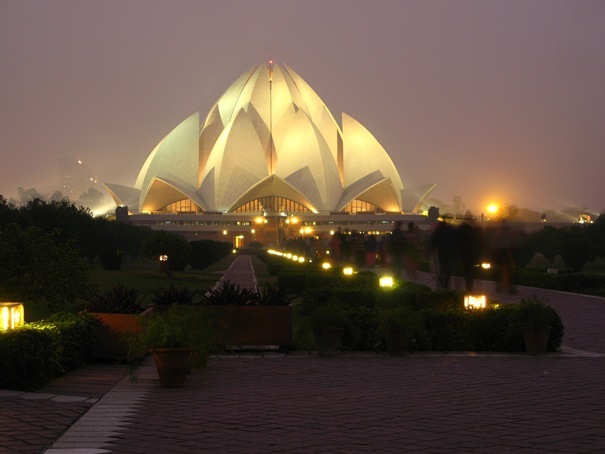 This mesmerising building is the designated place of worship for the Bahá’í Faith, and is often referred to as the Lotus Temple. 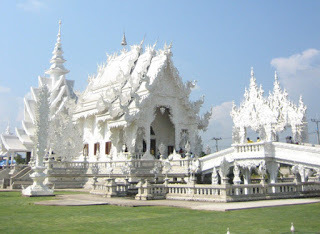 It will probably come as no surprise that this wonderful temple has attracted more than 50 million visitors, and it has also received numerous architectural awards. 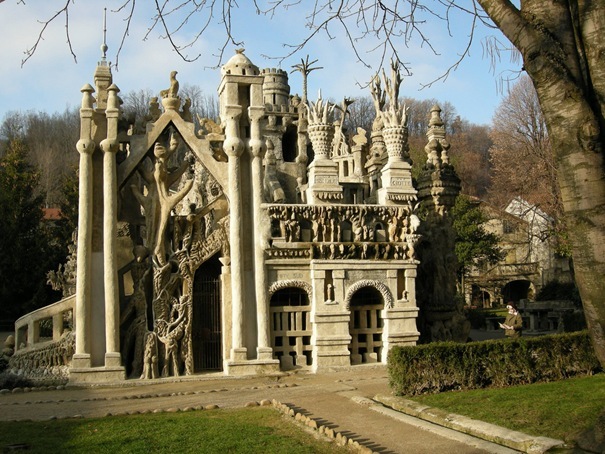 In April 1879, Ferdinand Cheval, a French postman, began working on this wonderful building and dedicated 30 years of his life to the project. He spent the first 20 years building the outer walls from stones he’d find on his post route. Offering a stunning blend of styles from Hinduism and Christianity, the Palace is an amazing example of naive art architecture. 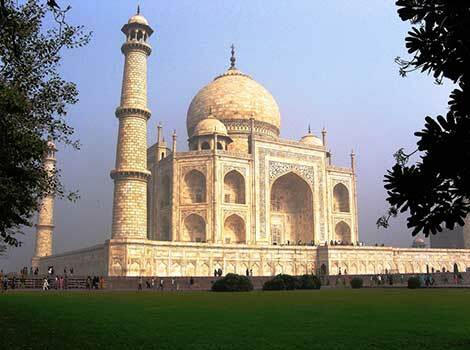 The Taj Mahal, otherwise known as the Crown of Palaces, was created by Mughal emperor Shah Jahan in memory of his third wife, Mumtaz Mahal. It is clear to see why the white marble mausoleum is now one of the New7Wonders of the World. The Basílica i Temple Expiatori de la Sagrada Família is an incomplete Roman Catholic church in Barcelona, Catalonia. Antoni Gaudi, a Catalan architect, began designing the building in 1883 and devoted his final years to the project. Following his death, only three quarters of the church was complete and the building’s construction continued at a slow pace. The Spanish Civil war interrupted the developments and so progress did not begin again until the 1950s. 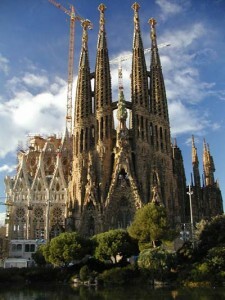 The Sagrada Familia’s completion date is 2026 – a century after Gaudi’s death. Known as the White Temple, Wat Rong Khun is a modern Buddhist temple and offers an unusual blend of Thai architecture and surrealist imagery. Designed in 1997 by Chalarmchai Kostipipat, a painter turned architect; the building features imagery from contemporary scenes and pop culture, including murals to Batman and 9/11. 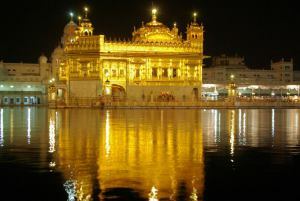 The Harmandir Sahib, commonly referred to as the Golden Temple, dates back to 1604, when it was built by the fifth Sikh Guru, Guru Arjan. The Sikh Gurdwara offers four doors to symbolise the openness of the Sikhs towards every religion and person. 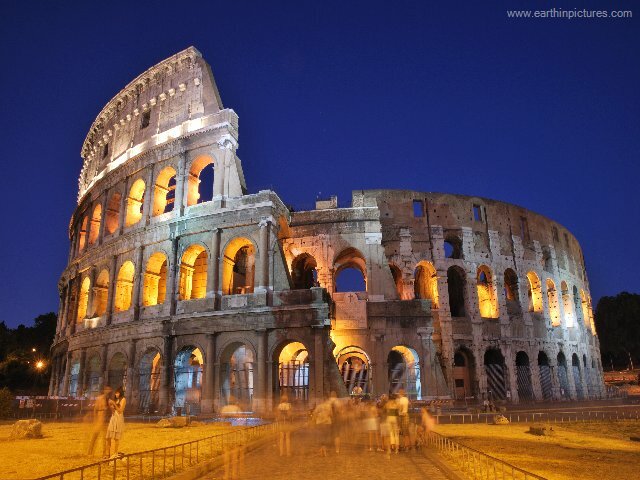 The Colosseum, or Coliseum, is a Flavian Amphitheatre in the heart of Rome, and the biggest of its kind in the word. This magnificent masterpiece, created from concrete and stone, is widely believed to be one of the greatest works of Roman architecture and engineering. 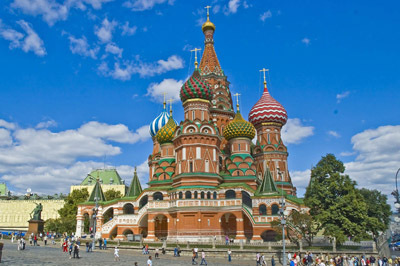 St Basil’s Cathedral is a Russian Orthodox Church located in Red Square in Moscow, Russia. The building was constructed from 1555-61 due to orders from Grand Prince of Moscow, known in English as Ivan the Terrible, to celebrate the capture of Kazan and Astrakhan. 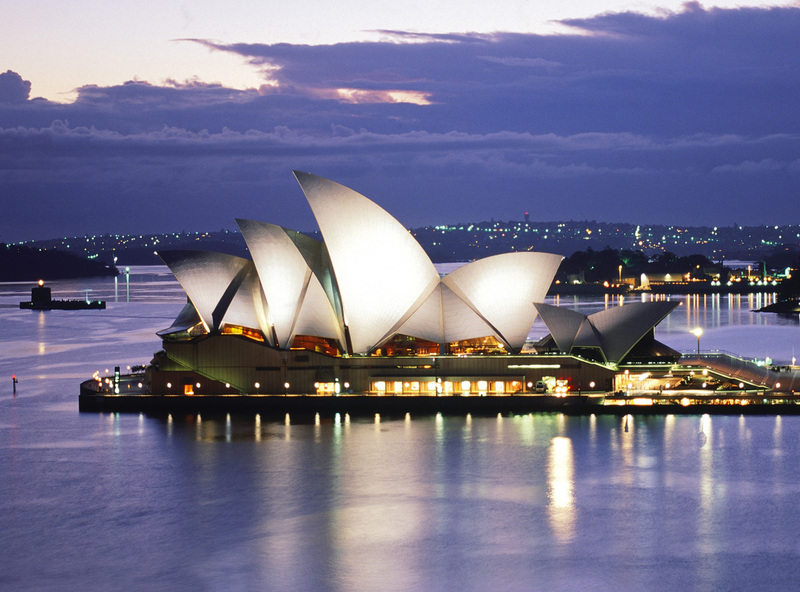 This elegant multi-venue performing arts centre was designed and built by Jørn Oberg Utzon in 1957 and was opened to the public in 1973. The centre hosts approximately 1,500 performances every year and is now one of Australia’s biggest tourist attractions. 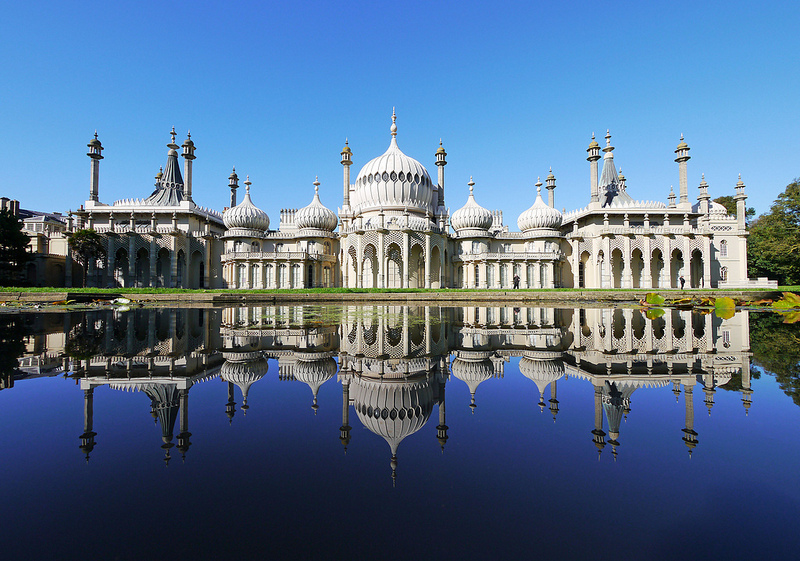 Construction began on the Royal Pavillion, nicknamed the Brighton Pavillion, in 1787 and was built in three stages. The designer of Carlton House was employed to enlarge the Grove House on the orders of King George IV, and the designer John Nash redesigned and greatly expanded the Pavillion between 1815- 1822. The private residence is now a public attraction under civil ownership. Want more top 10 facts? All you have to do is click here. 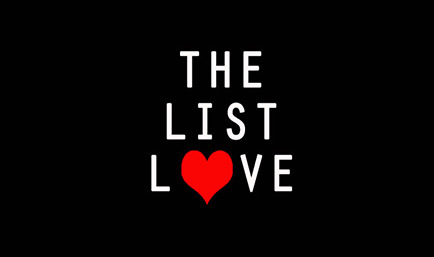 The List Love is the home of high quality top 10 lists on everything from movies and TV to history and science. We offer interesting, entertaining posts to broaden your mind and smile. Follow us today on Facebook and Twitter for more amazing listicles! The List Love is the home of high quality top 10 lists on everything from movies and TV to history and science. We offer interesting, entertaining posts to broaden your mind and smile. Follow us today on Facebook and Twitter for more amazing listicles!